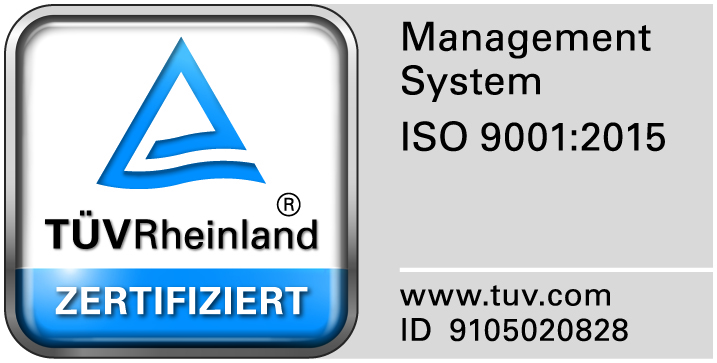 dianova’s work and production processes are based on a certified quality management system pursuant to DIN EN ISO 9001:2015. This includes cooperation with recognized production labs, continuous optimization of our processes, enhancement of our services and training of our staff with focus on a profound understanding of our products. In this way we ensure that we are providing labs, users and customers with safe, efficient and high quality products for diagnostics as well as a high degree of health protection for patients. 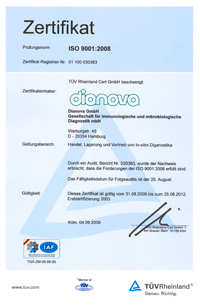 To this end, dianova consistently implements all the requirements stipulated in the European Directive on in-vitro diagnostic medical devices within the company.